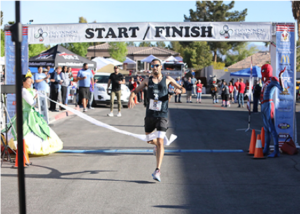 Las Vegas, NV, April 9, 2019– Ronald McDonald House Charities® (RMHC®) of Greater Las Vegas hosted their 15thAnnual Runnin’ for the House 5K Run & Fun Walk on Saturday, April 6th. The family-fun event brought out 40 teams and more than 1,200 attendees – the highest number of participants in the organization’s history. Attendees enjoyed a McDonald’s pancake and sausage breakfast as well as various family-friendly activities, including a rock-climbing wall, bounce house, Angel 1 Fire Truck, face painting, birdhouse painting, and more. Cosmo with the Aviators, UNLV Cheerleaders, and the Las Vegas Avengers came out to show their support and cheer runners at the finish line. RMHC® raised more than $85,000 from this single event, exceeding the fundraising goal by more than $10,000. Sponsors of the event include McDonald’s, UFC, Lexus of Las Vegas, Masters of Barricades, NV Energy, Wrich Air, Boyd Gaming, and Beasley Broadcasting Group. 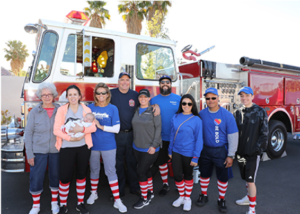 Funds raised from this event stay locally to benefit RMHC® and their mission of providing a “home-away-from-home” for families that travel to Las Vegas for their children to receive critical medical care.